This year’s theme is an iteration of the past two fora, focusing on the need for everyne including the first resonders: communities and families, and individual Filipinos to be ready and be fully equipped to take on an active role is disaster. 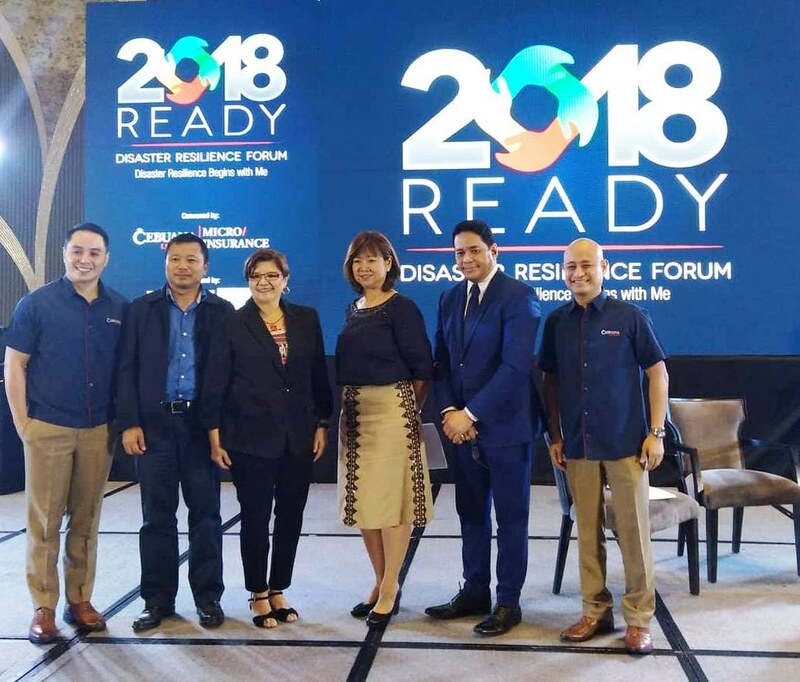 They started the Disaster Resiience Forum two years ago, their vision was to build a nation of resilent Filipinos – armed with the information and know how to protect and help others during times of disasters and natural calamities, said Cebuna Lhuillier President and CEO Jean Henri Lhuillier. 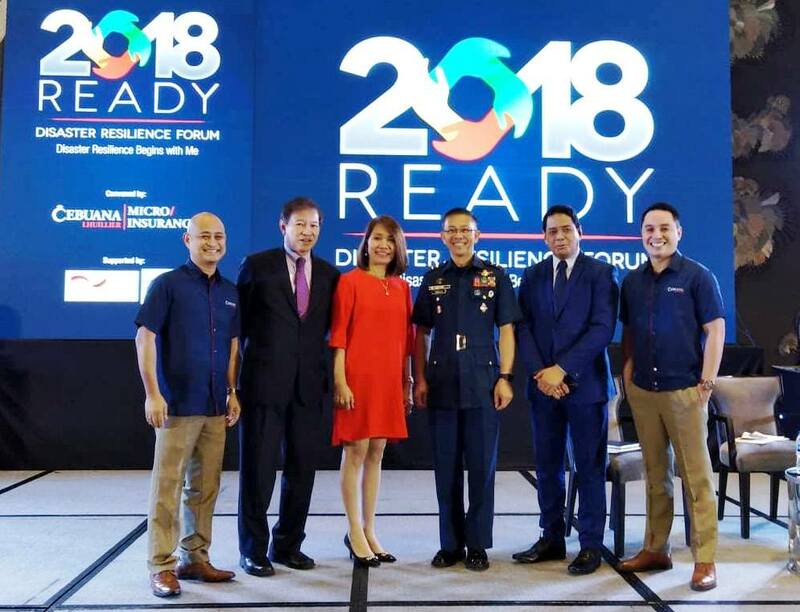 He added, This year, we like to encourage each and every Filipino to take on a more proactive role in building disaster resilient communities by highlighting personal readiness and security to alleviate massive losses and damages during disasters. In partnership with the Regulatory Framework Promotion of Pro-poor Insurance Markets in Asia (RFPI Asia) and the Mutual Exchange Forum on Inclusive Insurance Network (MEFIN), the event was organized to serve as a platform to discuss measures on the disaster resilience of first respondrs such as members of the army and local policemen against any type of disaster. The forum is alo a venue for various local government and civil societies to share learnings and best practices to strenghten and improve other communities disaster resilience capabilities. The multi sector panel discussion seeks to increase awareness on the role of microinsurance as a disaster risk finance tool to make every Filipino resilient against the impacts of disasters and calamities, as well as, promote conversations about each Filipino’s role in every phrase of disaster rish rduction and management. Broken down in these panel sessions, the forum opened with First Things First : How Resilient are Our First Responders? The panel featured Restituto F. Padilla, Jr., Deputy Chief of Staff or Plans, J5 of the Armed Forces of the Philippnes; Rene Butch S. Meily, president of the Philippine Disaster Resilience Foundation, Inc.; and Manuel Nong C. Rangasa, chairman and executive director of Local Climate Change Adaptation for Development, Inc. Kicking off the second discussion, Moving Forward: How o we Strenghten our Communities Resilience? were Maribeth L. Marasigan, first vice president and chief operating officer of Weather Philippines Foundation; Jorge S. Ebay, associate professor in Community Development at the University of the Philippines-Visayas; and Dr. June Caridad Pagaduan-Lopez, convenor of Citizen’s Network for Psychosocial Response. The third and final panel session, On ot the Next Step: How can Every Filipino be Ready and Help? were presented by Stcy de Jesus, head of Community and Digital Communications of Rappler, Inc. and Pebbles Badillo Sanchez-Ogang, executive director of YESPinoy Foundation, Inc. 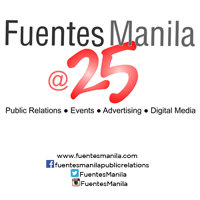 The Forum Aslo features Commisioner Dennis B. Funa of the Insurance Commission and JonathanD. Batangan, first vice president and group head of Cebuana Lhuillier Insurance Solutions, Cebuana Lhuillier Foundation, Inc., and Cebuana Lhuillier Business Solutions; and news anchor and program host, Tony Velasquez of the ABS-CBN News Channel (ANC) as forum moderator. To further reinforce its disaster resilience advocacy, Cebuana Lhuillier launched OurHelp, a donation site where domors can ensure individuals or communities who do not have access to or means to get insurance coverage for as low as one dollar or 53 pesos. OurHelp is an offshoot of the company’s National Pilipino Protektado Day, a monthlong campaign that helped insure one million Filipino in 2016.